The living room is arguably the heart of any home. It's where friends and family gather around a fireplace with wine in hand, where people squeeze together on the couch for a movie, and where everyone makes an appearance on game night. So, if the living room is the center of your abode, that makes the coffee table the glue that holds the most lived in part of the home together. 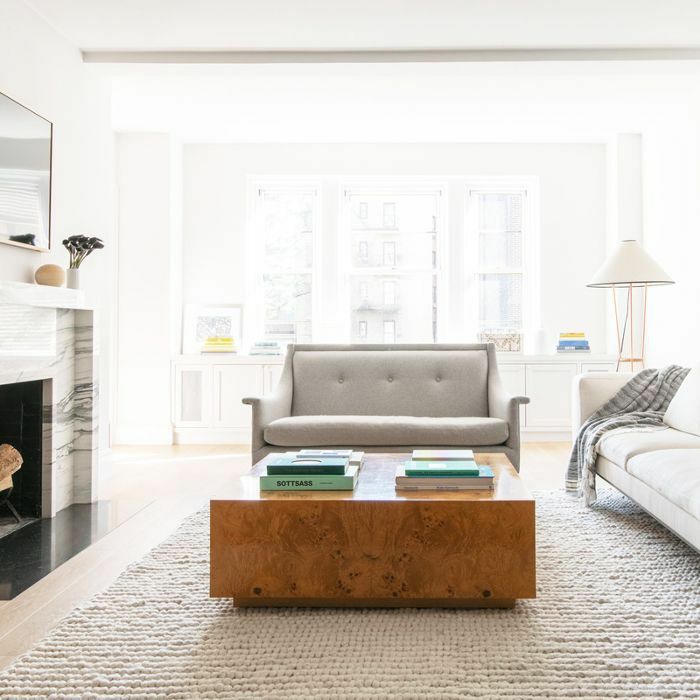 When it comes to selecting a coffee table—whether you're replacing an outdated piece or you're starting off fresh entirely—you don't want to rush into hastily buying this pivotal piece of furniture. Its job is not only to tie the room together but to also meet your daily needs. For instance, if you have children, you'll want to consider rounder edges and perhaps even a soft material like leather for a kid-friendly piece of furniture. On the other hand, if you have a vast collection of books and objects that you'd like to display, a larger table with storage shelves may be more appropriate. Once you've decided what aspects of practical design you want to prioritize, it's time for the fun bit—picking out the piece that best fits your unique sense of style. Unless you're going for an eclectic look, you'll likely want to pick a coffee table that goes with the design style of the rest of your space. Ahead, take a look at some of the best coffee tables for every type of living room—from traditional to contemporary. Topped with Italian tile, this traditional coffee table could easily work in an indoor or outdoor living space. It's perfect for holding beverages, coffee table books, and candles alike. Not your average wooden coffee table, this piece incorporates a layer of marble on the surface to add dimension and interest. It would look beautiful in any traditional setting. 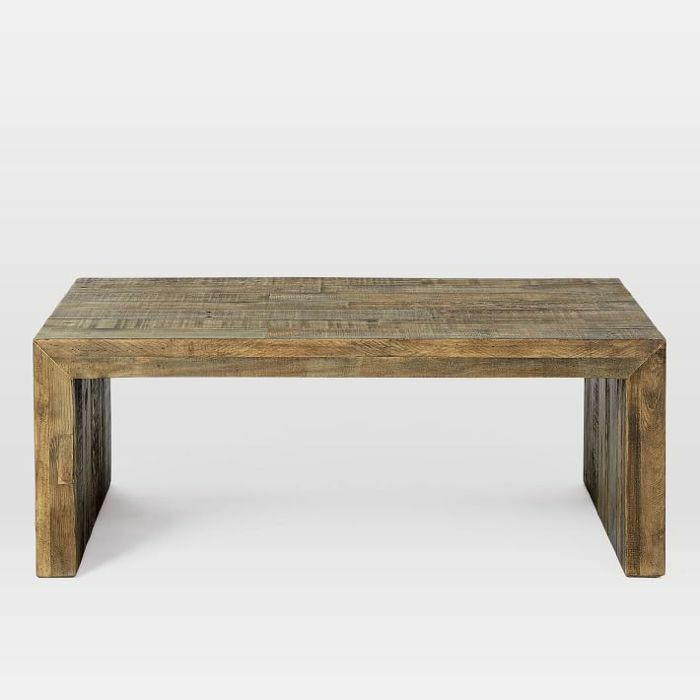 For a rustic, sturdy look, go for this rectangular coffee table made of reclaimed wood. Truly one-of-a-kind, this unique piece features an uneven surface with gentle scratches for an antique, vintage feel. 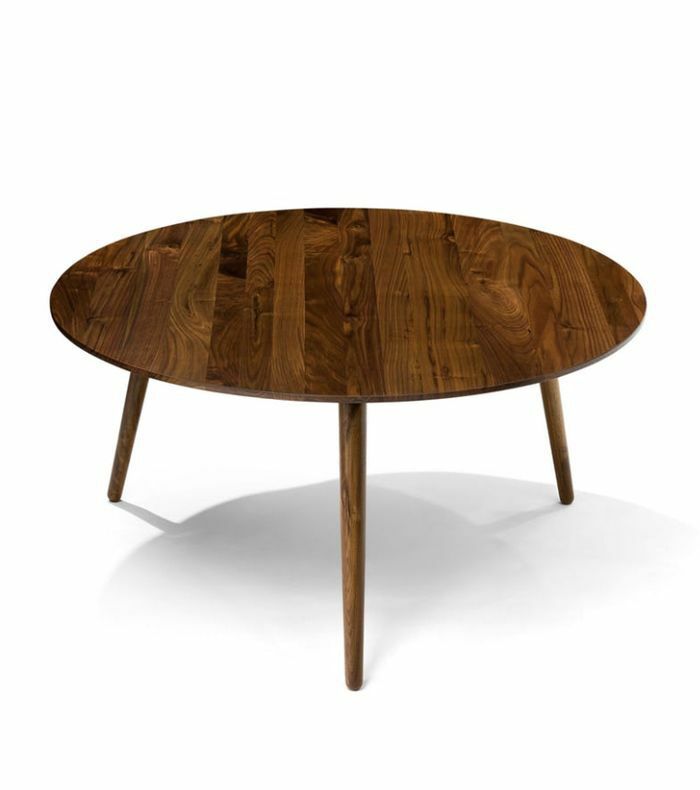 If you're looking for a coffee table that's a bit more innovative, turn your attention to this rotating piece. Although it appears traditional enough upon first glance, the two shelves actually spin, creating a stunning geometrical design when desired. 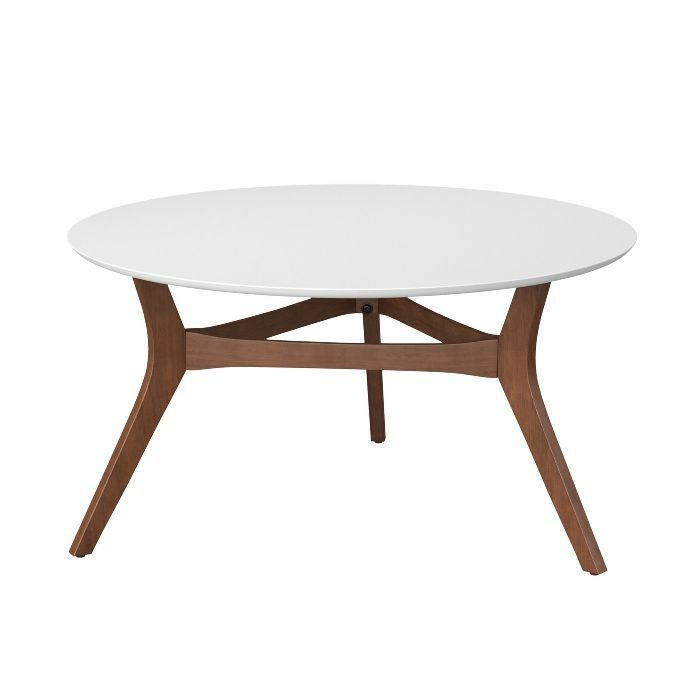 Comprised of a sleek wood frame with storage space beneath the surface, this coffee table is a simple, low maintenance find. The grainy wooden plank gives the piece a natural, raw look while offering ample room for magazines and books. 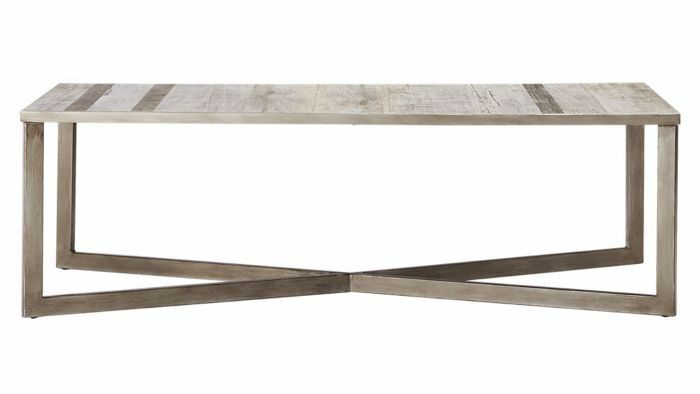 Go modern with this table featuring waterjet cut glass and a tri-pane design. 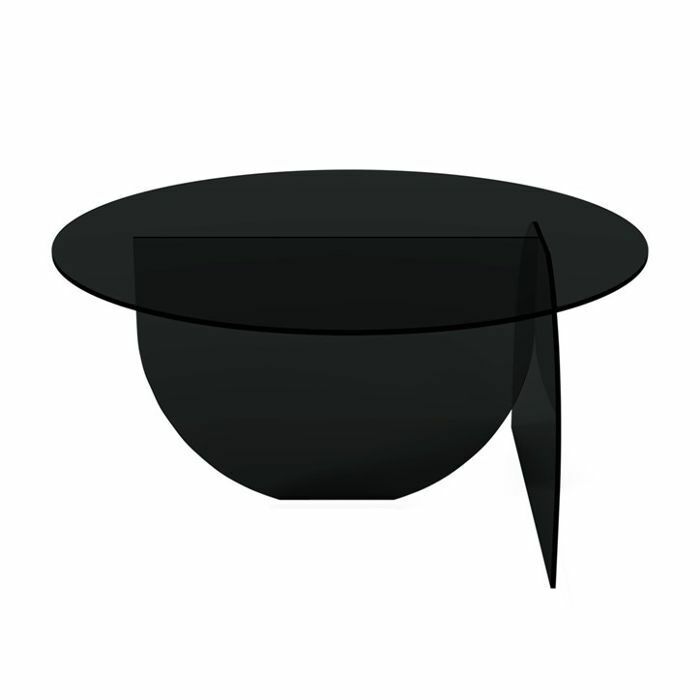 It combines simple shapes in a way that's entirely chic. 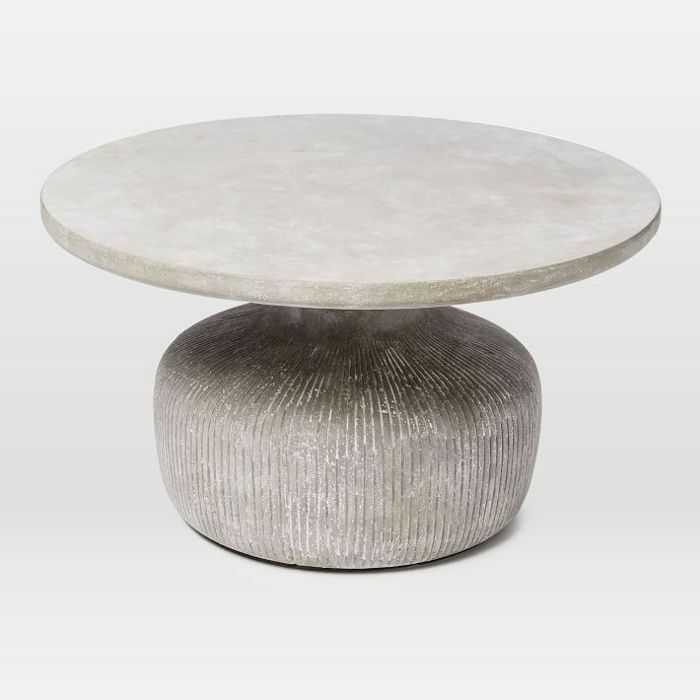 For something a bit more sturdy, opt for a circular concrete coffee table like this one from West Elm. The on-trend material makes a statement while the color and shape remain rather neutral. 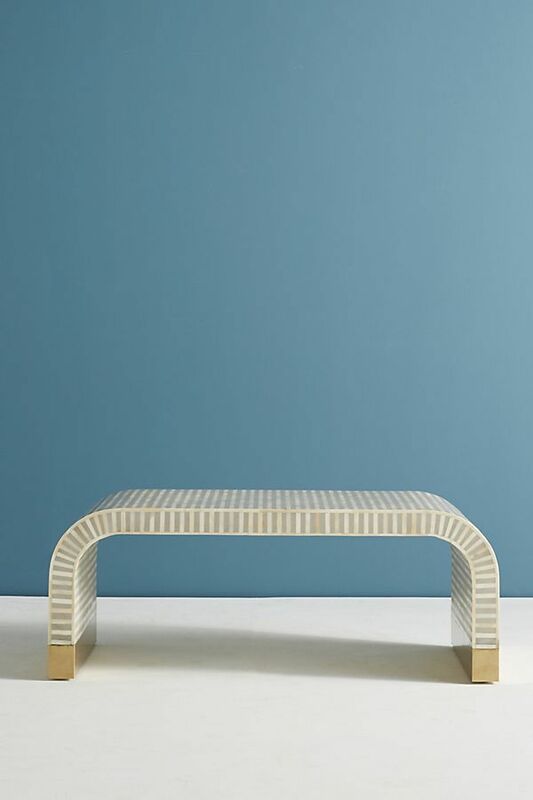 Part work of art, part furniture, this sculptural coffee table is effortlessly modern. 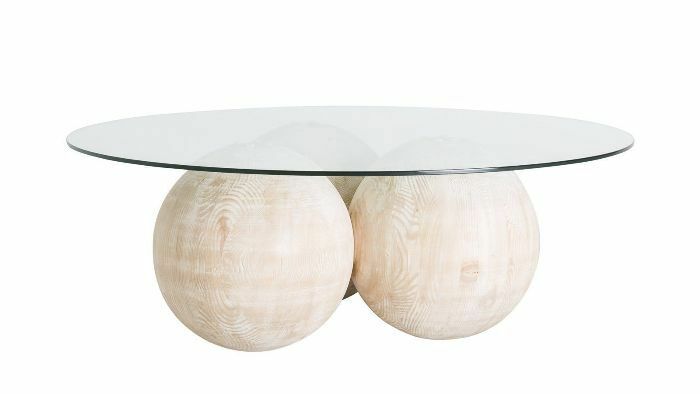 Three wooden spheres made of reclaimed Douglas fir create a base for a sleek round glass top to sit. 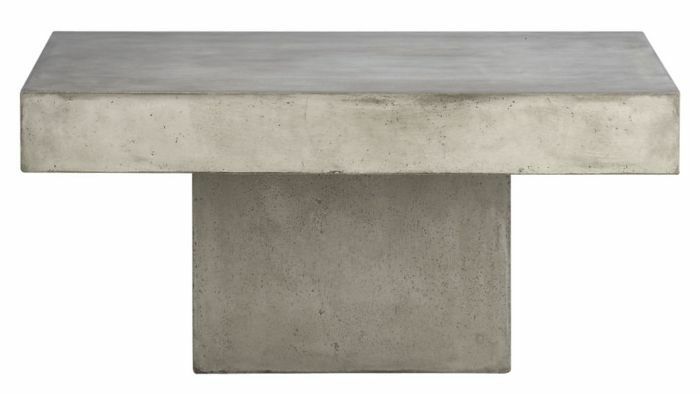 It doesn't get more concrete than this sharp, rectangular table. The handmade piece would work in a cool minimalist space or in contrast to warmer elements in a modern living room. 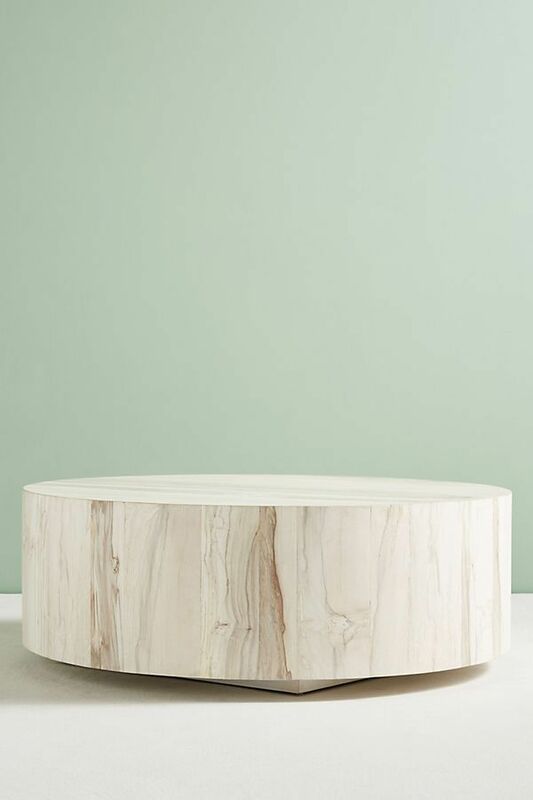 The swirled design featured on this coffee table gives the piece the appearance of marble, although it's actually made of reclaimed olive wood. Add this find to your living room for a touch of natural elements. 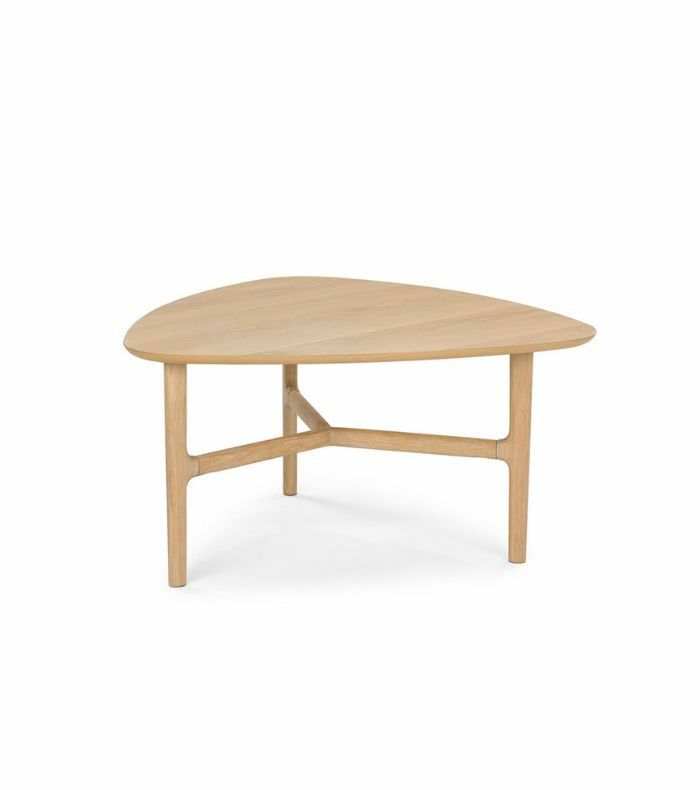 Mid-century modern design isn't going out of style any time soon and this three-legged triangular table in oak wood fits the bill. Just picture it covered in your favorite coffee table books and a decorative tray. 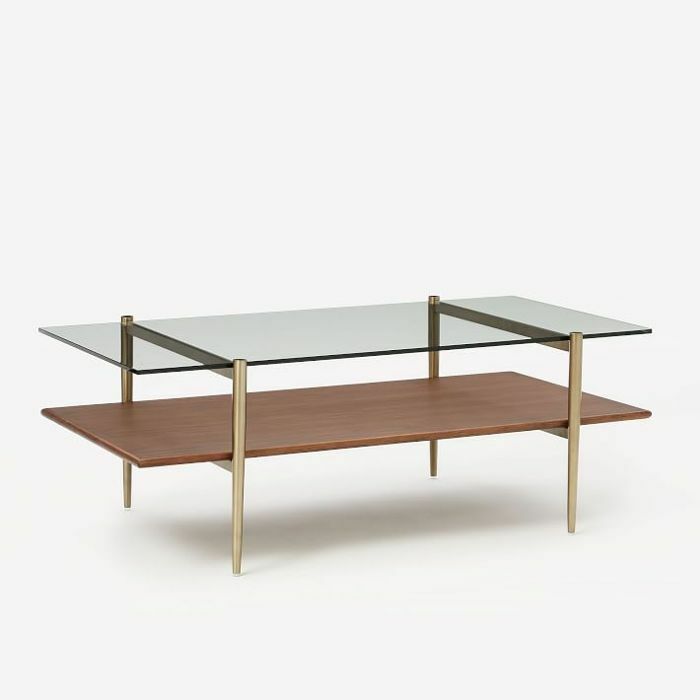 Perfect for displaying beloved objects, this is one of the best mid-century modern tables to shop right now. It's sleek and timeless. 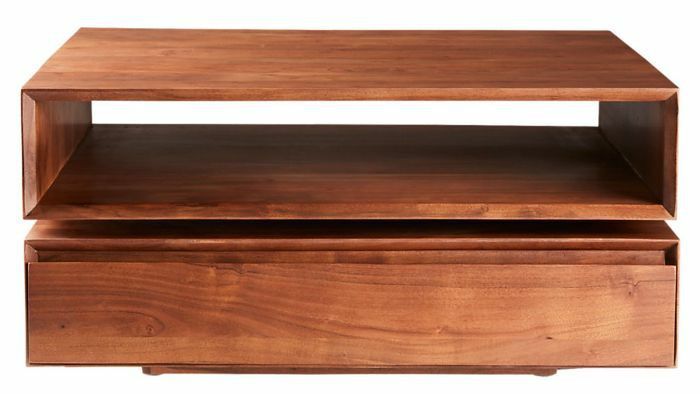 The dark wood featured on this coffee table would fit right into any mid-century modern space and it's certainly a style that will stand the test of time. 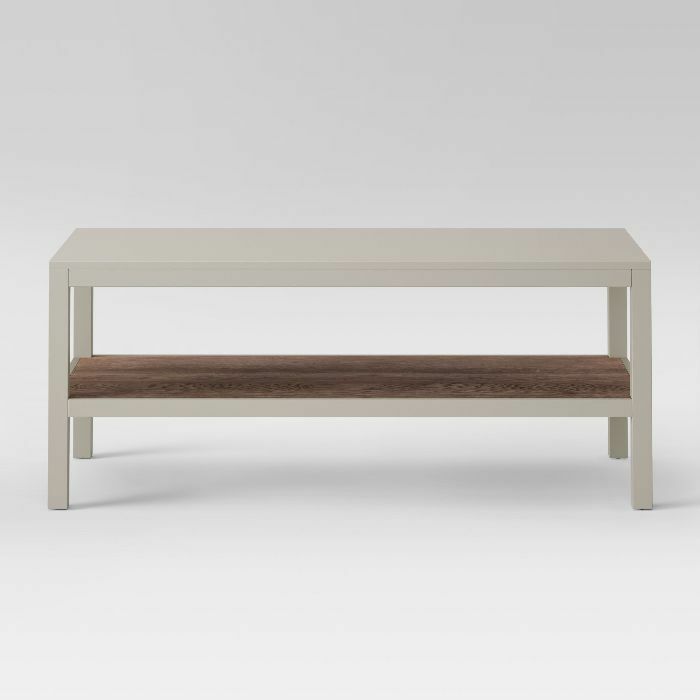 You'd never guess this two-tone coffee table is from Target. It's part of the retailer's mid-century modern line Project 62 and it wins points for both style and affordability. This retro-inspired piece could double as a console table. It has ample storage space and features a dynamic design sure to catch the eye. We dare you to find a cooler coffee table than this waterfall-shaped piece from Anthropologie. 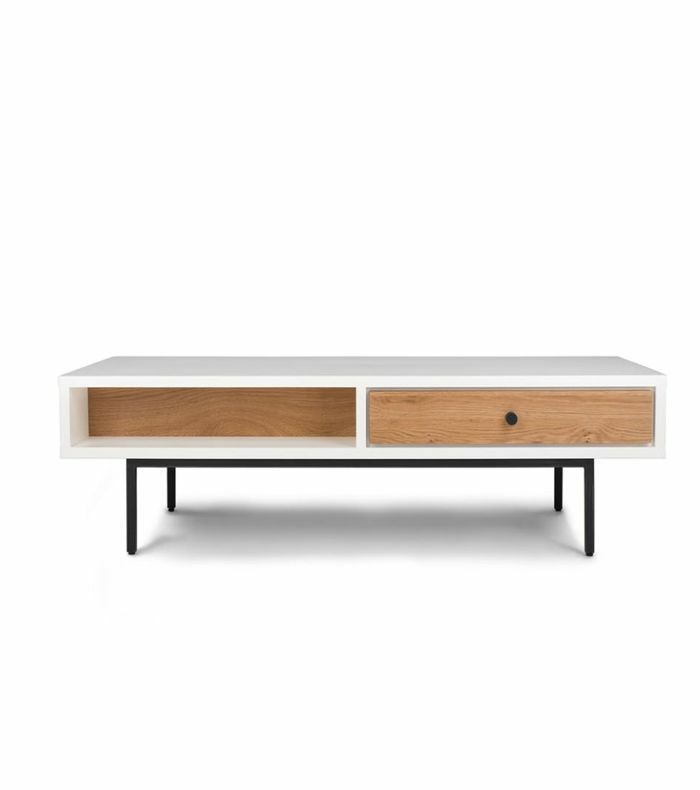 With unexpectedly curved edges and a bone inlay facade, it's a welcome centerpiece for a modern living room. 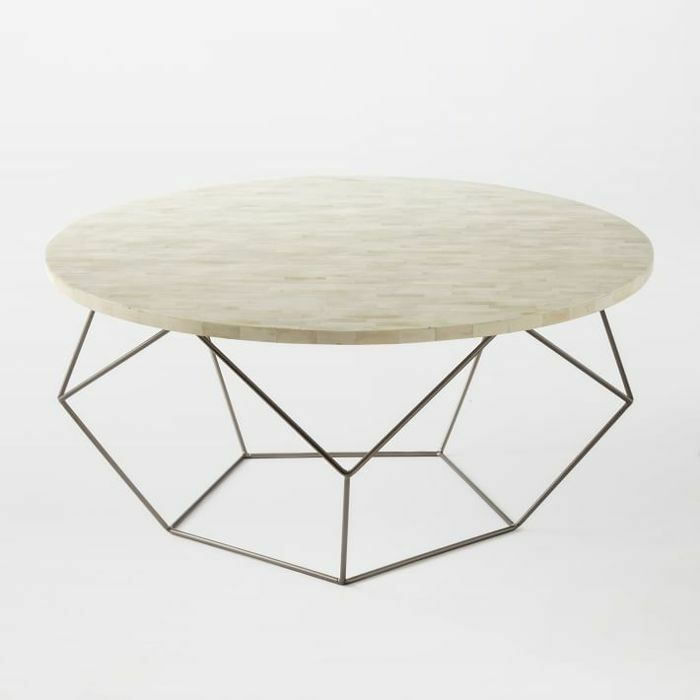 Inspired by the Japanese art of origami, this geometric coffee table deserves your attention. 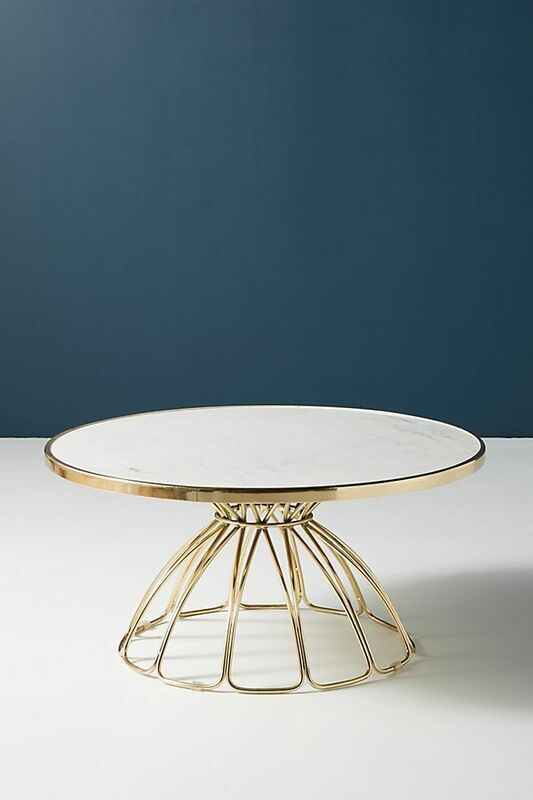 The delicate metal base gives the piece a light and airy appeal that's ideal for smaller spaces. This contemporary coffee table has just the right amount of glam. It's proof that brass and marble just go together. 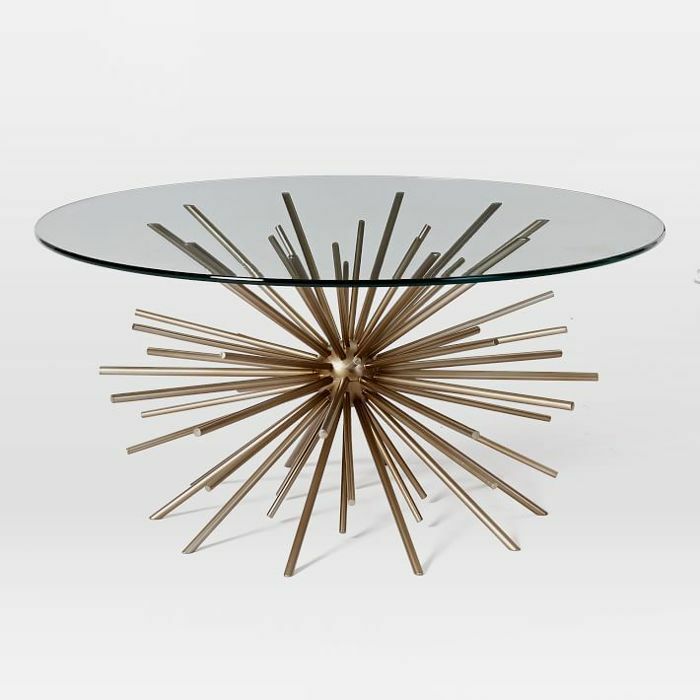 A bold starburst design is the focal point of this coffee table. 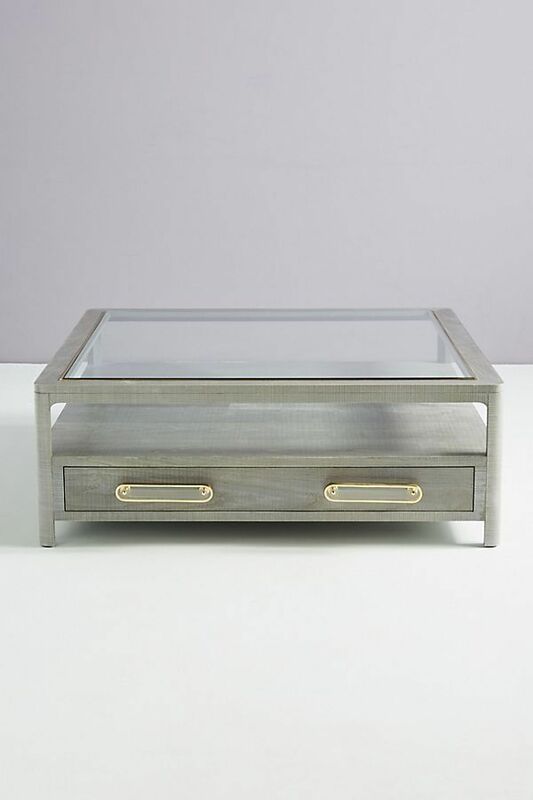 The glass top is just big enough to hold drinks and coasters while you host an elegant party. 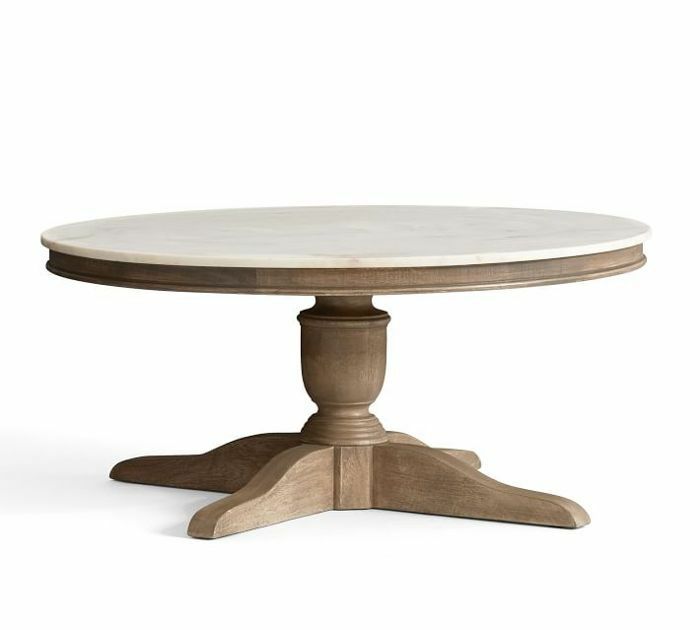 For something with a bit more structure that still has a contemporary feel, this hardwood table designed by Tracey Boyd is just the thing. The glass top is a fresh element to contrast with the more natural frame.